The Municipality of Nemea, a Mediterranean area with numerous vineyards and ancient memories, is watered by the Asopos River and a large expanse of the surrounding hills, the vineyard has a millennial tradition, with reference to the Agiorgian grape that thrives here and borrowed its name from the settlement Saint George, as Nemea was said until the beginning of the 20th century. Neo-Wine wines with an intense, deep ruby color, the aroma that refers to noble spices and the finely elegant taste, are considered to be among the best in the Peloponnese. 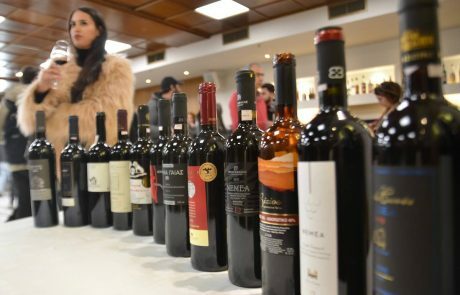 Every year, in Nemea, Ambelóssa organizes a wine festival with the participation of local wine producers. The visitor has the opportunity to see and enjoy rich cultural programs, tasting all bottled varieties. 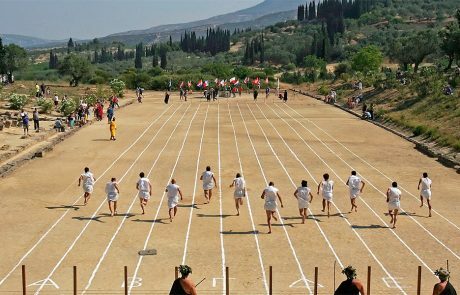 It was a panhellenic center of religious and sporting events, the Nemes or Nimenes, held every two years, in July or August, in honor of Ofeltis, the son of the king of Lykourgos. 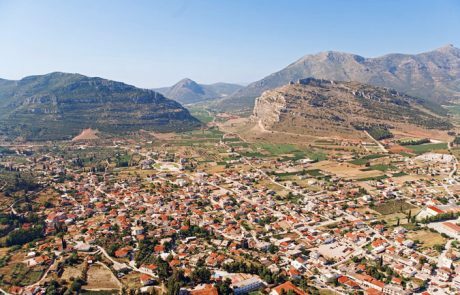 East of Nemea lies Ancient Cleones, a picturesque small village named after Cleone, daughter of Asopos or Pelopas. 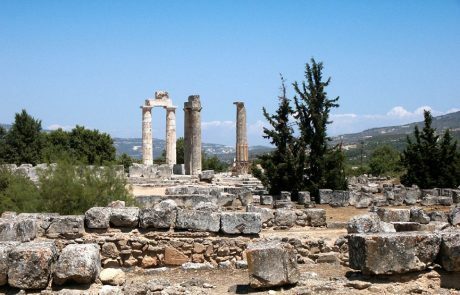 The ruins of the ancient city are close to the village of Kontostavlos, and in 1926, after excavations, important finds, ruins of a Doric temple of Hercules, the temple of Athena and the walls were discovered. 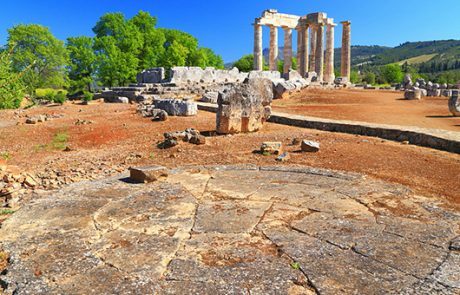 In order to reach the archaeological site of Ancient Nemea, the visitor will enjoy a wonderful journey through vineyards, olives, pines and cypresses, passing through the villages of Soulinari and Chalki. 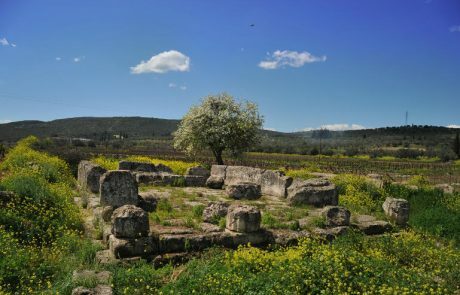 The road leads to the western edge of the village of Ancient Nemea, built on the eastern foothills of the Arcadian mountains, at an altitude of 330 m. Here is the sanctuary of Zeus, the most important building of the archaeological site, both in antiquity and today. Founded in the 4th century BC It is surrounded by the impressive altar of Zeus, a guesthouse, ruins of baths and ruins of houses of the Early Christian and Byzantine period, with its Doric style columns still stately in the Nematian field. The three-aisled Basilica ruins, impressive in size, above the hill of the stadium, built in the 5th century AD, are visible. century from the material of the altar of Zeus, on the ruins of the Hellenistic hostel, by a small Christian rural community settled here. 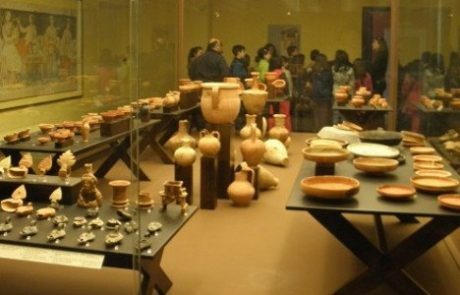 Inside the archaeological site of Nemea stands a magnificent archaeological museum with findings from the area and rich photographic material and drawings that reveal its entire history. An important site of Nemea is the Byzantine Monastery of Virgin Mary of Vrachos, built at least in 1633 on the hill of Polypangos, 2.5 km southwest of Nemea, with magnificent frescoes of the 14th century. Particularly distinct are the Birth of the Virgin Mary, the Lord’s Lord and St. George. 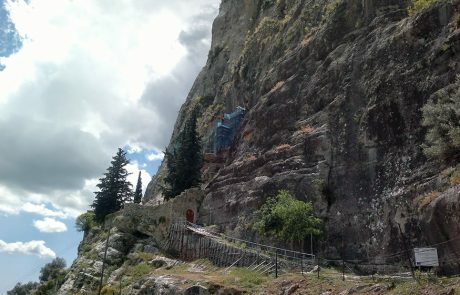 The entrance of the Monastery is stone-built, with its west side touching the rock and the left wall resting on a wall. It is also worth mentioning the herd of Polypangus, which is wedged in a cave of the peak of the provonus.